Generally, the longer the horse is away from the races spelling, the more difficult it is for the trainer to prepare it for a first up win or peak performance. Are small breaks better for performance? As a general rule the longer the horse is away from the races spelling, the more difficult it is for the trainer to prepare it for a first up win or peak performance. Last week I touched on the main factors to be considered in assessing the possible fitness levels for a horse resuming from a spell. If you get into the habit of working through them you will soon become familiar with the main factors that have an influence on the first up performance of a thoroughbred. If horses are away from racing and training regime for too long, they generally put on a lot of condition which will take a lot of pre training to remove. That is why you will see most horses have small breaks from competitive racing – usually it can be just a few weeks before they go back into pre training. If horses are returning from injury and a long layoff the task for the trainer to get them back to racing condition is just that much more difficult. In these circumstances you will generally notice the horse will seldom be prepared for a first up win or peak performance but rather gradually raced into winning form with three or four runs. 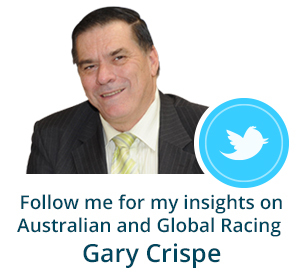 This can be a rewarding exercise for the astute analyst as it can involve many factors such as previous track work and barrier trial information and first up past patterns for a runner. Generally once a trainer finds the “key” to a horse he will usually follow it across all campaigns. Some horses come to hand quickly and some don’t. 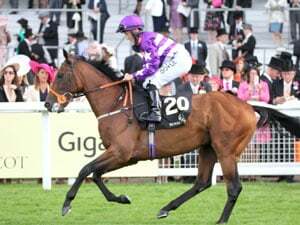 For example sprinters are more likely to come to race fitness very quickly and may need just one or two runs to reach winning form, whereas a middle distance horse might require three or four runs and a stayer perhaps even more preparation runs. But as I said earlier the trend is for most trainers to strike a balance between not rushing a horse back to racing and minimising the number of races it must have before reaching winning condition. Sprinters will usually be prepared to reach their peak early in a campaign so previous form patterns and associated barrier trials/track work will give you a very good clue as to how the horse is progressing now compared to past preparations. Of course it is not always that straight forward as we see from the example with recent first up winner Marenostro. Prepared by leading Sydney trainer Chris Waller Marenostro is a first up specialist. He has quite a few preparations for us to examine. A lot of horses resuming don’t have as many previous preparations to focus on for past patterns so in those cases you have to resort to other methods of assessment making some of those decisions slightly less reliable. In the case of Marenostro, if we look at his last campaign we will see that he won first up over 1550m at Canterbury but had two trials leading into the race. 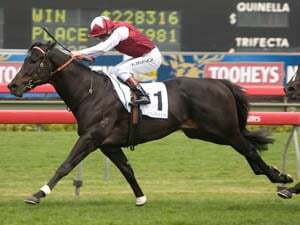 For the race under consideration this campaign he had trialled just once and was returning over 1400m at Rosehill. If we had stopped the analysis there, it would have been easy to have assumed that just maybe Marenostro was not as forward in condition and therefore less likely to be at a fitness level for a first up win. Actually further digging into his form will reveal that at the same time last year, Marenostro resumed at Kembla Grange over 1500m but only had one trial coming into that run. So immediately we have established a successful past pattern for this horse and there was no need to worry about his fitness level for the latest first up run. Consequently, as he had done previously, Marenostro was able to win again first up off just one trial – and at lucrative odds of $7.00. Golden Slipper winner Estijaab is on track to recapture her best after a promising return in the Inglis Sprint. 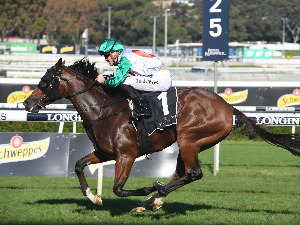 Estijaab returns at Warwick Farm this weekend with punters facing the tricky task of figuring out what to expect from last year's Golden Slipper winner. Racing and Sports' Adam Blencowe looks at the 2019 Magic Millions Classic from the Gold Coast from a times perspective. Another weekend in Australian racing saw another series of Everest auditions taking place, this time at the Valley and at Rosehill.